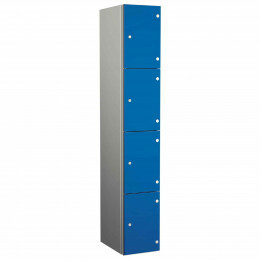 If you need storage lockers for wet or humid environments such as Gyms, Leisure Centres, Swimming Pools, Schools, Spas, Health Centres and the NHS then the Probe ZENBOX Aluminium Locker with Solid Grade Laminate doors is the solution. 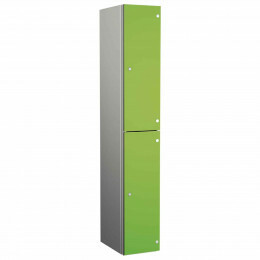 Probe ZENBOX Aluminium lockers have an extruded Aluminium frame for long life and10mm Solid Grade Laminate Doors that are plant on design giving a flush finish with visibility of the locker frame. Each door is fitted with heavy duty self closing hinges and are locked with a rangte of quality engineered locks to suit wet, humid or dry environments.